REDUCED PRICE!!! All back-up offers will be considered for this quaint mountain cabin with its beautiful wood beamed ceilings and inviting large windows is located in the mountains near Yosemite National Park and surrounded by the Sierra National Forest offering hundreds of miles of hiking trails right down the road. The seasonal weather in Jerseydale will encourage snuggling near the wood burning stoves on a cold winter day as well as sitting outside on the deck enjoying the cool summer evenings. 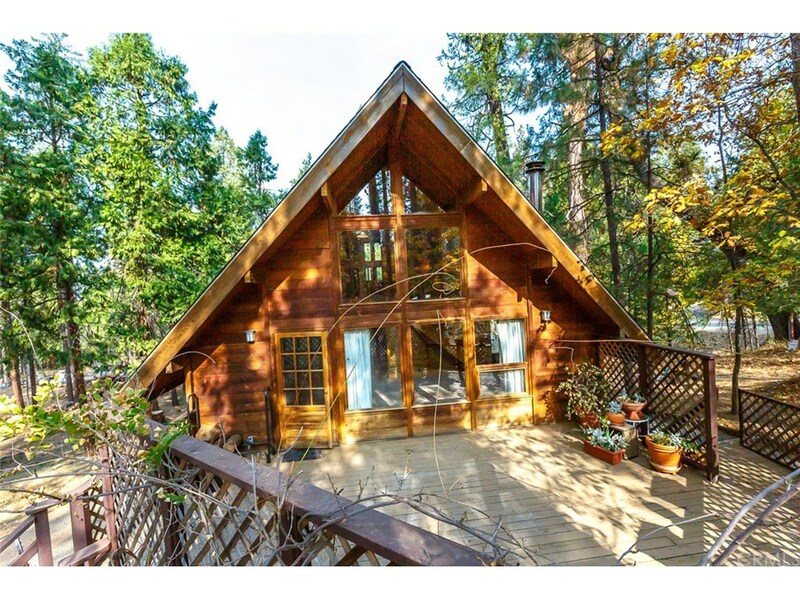 The County maintained paved road, which is plowed as necessary in the winter, provides easy access to this mountain retreat located in the quiet community of Mariposa Pines. There is a loft above the two-car detached garage that offers many possibilities, perhaps a hangout for the kids or a lovely art studio. This mountain cabin could provide you with years of wonderful family memories! The property is is priced to sell!